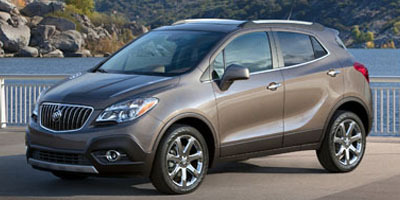 Find the latest 2014 Buick Encore recalls as issued by the National Highway Traffic Safety Administration (NHTSA) and Manufacturers. Remedy GM will notify owners, and dealers will replace the chassis electronic module, free of charge. The manufacturer has not yet provided a notification schedule. Owners may contact GM customer service at 1-800-521-7300 (Buick), 1-800-458-8006 (Cadillac), 1-800-222-1020 (Chevrolet), and 1-800-462-8782 (GMC). GM's number for this recall is 14515. Summary General Motors LLC (GM) is recalling certain model year 2013-2014 Buick Encore and Cadillac ATS; 2014 Cadillac CTS, ELR, Chevrolet Caprice and SS vehicles; and 2014-2015 Chevrolet Silverado and GMC Sierra Trucks. Due to an incomplete weld on the seat hook bracket assembly, the front seats in the affected vehicles may not stay secured in place during a high load condition such as a crash. Summary General Motors LLC (GM) is recalling certain model year 2013-2014 Cadillac CTS, Escalade, Escalade ESV, Chevrolet Suburban, Tahoe, GMC Yukon, and Yukon XL, and 2014 Buick Enclave, Chevrolet Express, Impala, Silverado HD, Traverse, GMC Acadia, Savana, and Sierra HD vehicles. In the affected vehicles, the chassis electronic module may be internally contaminated, resulting in an electrical short.